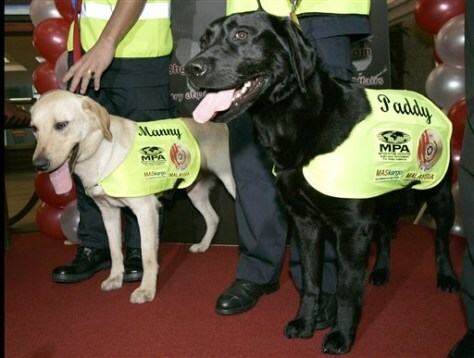 Paddy, right, and Manny are trained to smell chemicals used in DVD production. They can't distinguish between real and pirated DVDs. But they can point officers to hidden caches of discs.